Designed for Pro Series adjustable ball mounts (63070, 63071, and 63072) this set includes a 3/4" lock to replace the pin that holds the ball mount platform in place on the shank, and a 5/8" lock to secure the ball mount in a 2" hitch. 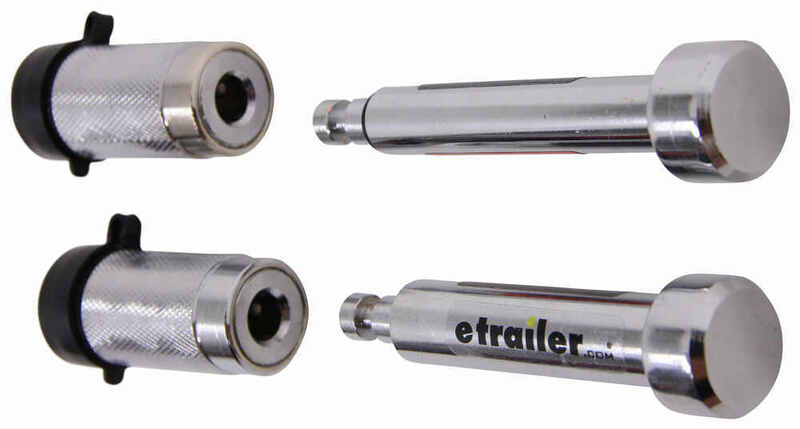 Call 800-298-8924 to order Draw-Tite hitch locks part number 63069 or order online at etrailer.com. Free expert support on all Draw-Tite products. Guaranteed Lowest Price and Fastest Shipping for Draw-Tite Lock Set for Pro Series Adjustable Ball Mounts for 2" Hitches. Hitch Locks reviews from real customers. 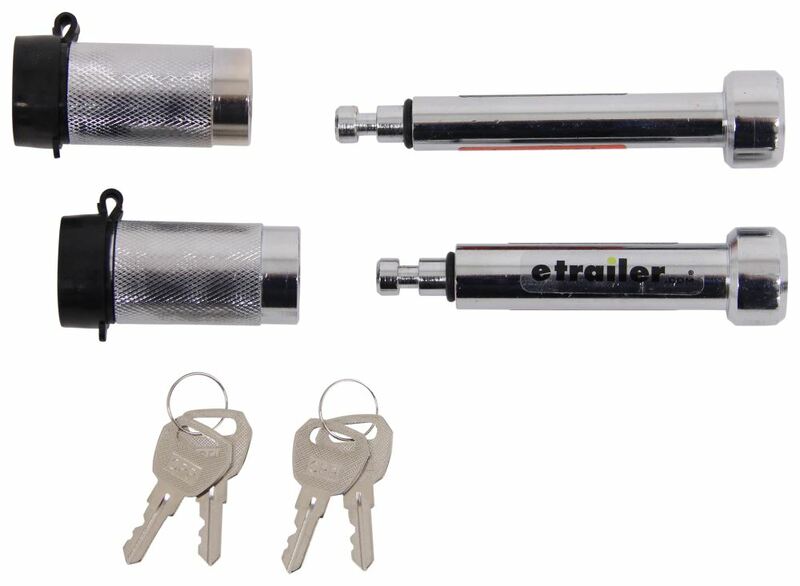 Convenient kit includes a chrome-plated, padlock-style trailer hitch receiver lock with an easy-to-use swivel head and a stainless steel latch lock for your trailer's coupler. Fits 1-1/4" x 1-1/4" and 2" x 2" hitches. Today we're going to be taking a look at the Draw-Tite Lock Set for Pro Series Adjustable Mounts. This lock set is designed to work with the pro series adjustable mounts, part numbers 63070, 63071, and 63072. This set is going to install easily and it's going to help prevent theft of your mounts. The hitch receiver lock is used in place of a standard hitch pinning clip. This is going to secure the shank of your mount and your receiver which is going to secure it to the vehicle. Then you're going to have the locking and adjustment pin. This is going to be used in place of the standard adjustment pin which is going to add security to the platform that's on the mount. It's going to lock the mount platform to the actual mount. The units are made from a sturdy, durable, steel construction. They're going to have a nice zinc finish which is going to do a great job at resisting rust and corrosion. It's going to come with four keyed-alike keys so either one of the keys will work on either one of the locks. Again, four keys total, two locks. All four keys will work on either lock. On the lock bodies, we're going to have a nice textured design that's going to allow for easy handling. It gives us a nice easy grip design and the locks are going to have dust caps that help keep out dust and moisture. There's also going to be rubber seals throughout the system which is going to help keep dirt and moisture out of internal components. To unlock it, you simply place one of the keys in. It only takes a quarter of a turn and that pops out and it allows the lock body to disengage from the pin. Place this through the unit and then to secure the lock back on, push it on. Leave the key in or out. It doesn't matter. All you have to do is push down that unit and that's going to lock the body back on to the pin. Really nice design. A few measurements I want to go with you real quick. The Hitch receiver lock, this is going to have a pin diameter of 5/8ths of an inch. If we take a look at the overall length of this one, we're looking at about 6-7/8ths of an inch and then it's going to have a usable pin length from this point here to this point here of about 3-1/2 inches. On the adjustment pin, this is going to have a diameter of 3/4 of an inch. It's going to give us an overall length measurement of around 6-5/16ths or 6-3/8ths, right in that area, and it's going to give us a usable pin length of right around 3 inches. That's going to do it for today's look at the Draw-Tite Lock Set for Pro Series Adjustable Mounts. 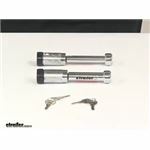 Order: RelevanceNewestRating - High to LowRating - Low to High Designed for Pro Series adjustable ball mounts (63070, 63071, and 63072) this set includes a 3/4" lock to replace the pin that holds the ball mount platform in place on the shank, and a 5/8" lock to secure the ball mount in a 2" hitch. Leaving the locks continually in place isnt necessarily a great idea Ive found this out for myself in the past. Exposure to the elements will eventually cause the rubber cover to deteriorate. 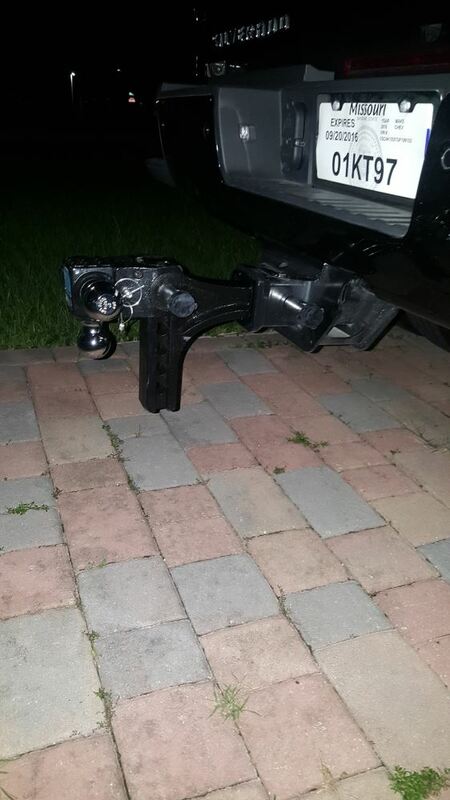 The best practice is to remove any hitch mounted accessories when theyre not being used. Some states even have laws against leaving ball mounts in place when not towing. If the accessory must be left in place, its a good idea to keep the locks lubricated Air tool oil works well and to unlock and lock them every few weeks to keep the springs and tumblers in working order. There is a lock set designed specifically for the Pro Series adjustable ball mount # 63070. It is lock set # 63069. This set includes a 3/4" lock to replace the pin that holds the ball mount platform in place on the shank, and a 5/8" lock to secure the ball mount in a 2" hitch. There isn't a lock for the smaller pin used to secure the tri-ball part to the rest of the ball mount. The smaller pin diameter is 3/8 inch. We do have a locking hitch pin to secure the double hitch ball attachment on the Pro Series Adjustable 2-Ball Mount for 2" Hitches # 63071. The Draw-Tite Lock Set # 63069 actually comes with 2 locks; one for the double hitch ball attachment and one for the shank of the ball mount. I have attached review videos for both products for you to check out. What you would want is the part # 63069. This is a lock set specifically designed for locking the ball mount platform and hitch shank of the Tri Ball Pro Series Ball Mount part # 63070 that you have. I attached a review video for this for you to check out as well. 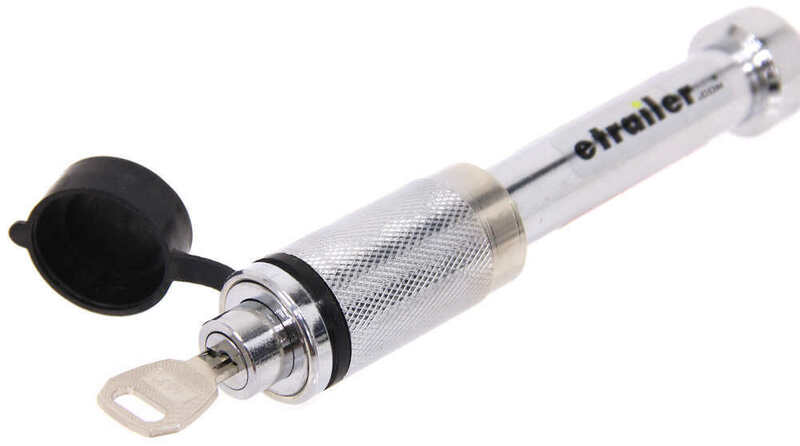 There is a lock set designed specifically for the Pro Series adjustable ball mount # 63071. It is lock set # 63069. This set includes a 3/4" lock to replace the pin that holds the ball mount platform in place on the shank, and a 5/8" lock to secure the ball mount in a 2" hitch. There is a lock set specifically for the adjustable ball mount # 63072. 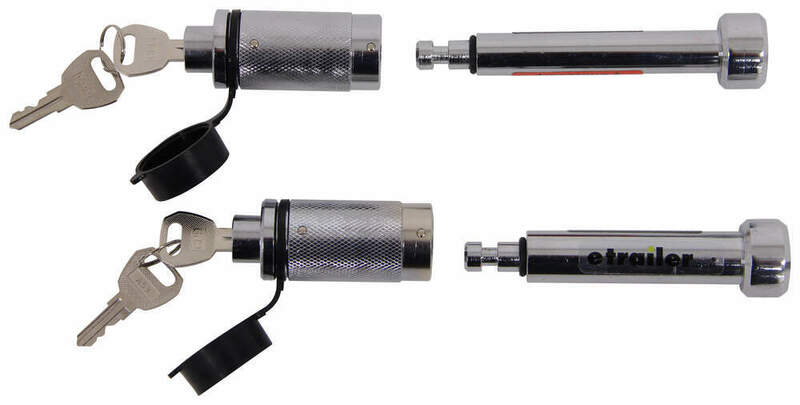 It includes a lock for the adjustable part and a locking hitch pin and they are keyed alike. The set is # 63069. We do have the B&W Tow & Stow 3-Ball Mount - 2" Hitch - 5" Drop, 5.5" Rise - 10K - Browning # BWTS10048BB which has a pin hole farthest from mounting block dimension of 5-5/8 inches. Another option with the same depth measurement is the # BWTS10047BB which has a 3 inch drop. 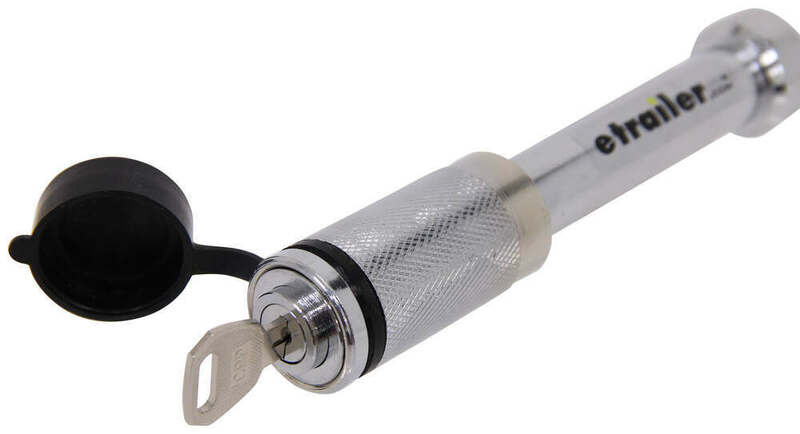 These are the only B&W hitches that have the 3-Ball option that will fit your bumper. I recommend the hitch lock # BWTS51234 to secure your investment. 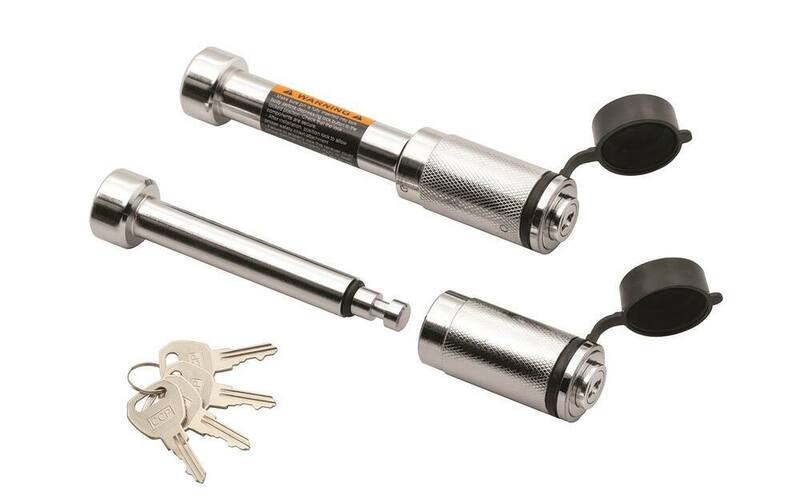 The keys that come with the Draw-Tite Lock Set # 63069 are keyed alike but if you are wanting to get more than one set and have them keyed alike you will need to use a different locking hitch pin. I recommend using the DeadBolt Trailer Hitch Receiver Lock # RH5-XL as it has a 5/8" diameter and 3-5/8" of inside width. Simply choose the keyed alike option and then change the quantity to the desired amount. What is the Pro Series Hitch Ball Platform Thickness and Hole Diameter?